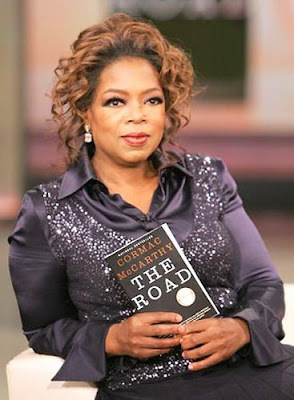 GORGEOUS talk-show maven Oprah Winfrey has selected Cormac McCarthy’s The Road (2006) as her book-club pick. The Road is a bleak, post-apocalyptic study of a dystopian America driven by the affinity between a father and son as they try to survive in an austere, empty world. 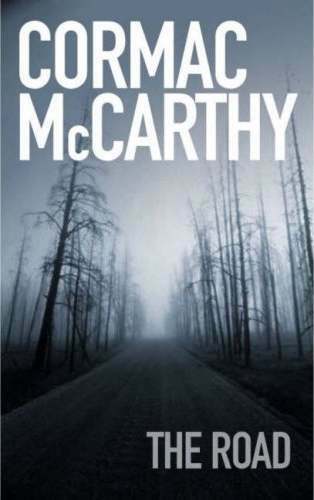 McCarthy, who is known for his economical prose and rural landscapes, is the legendarily reclusive author of such novels as All the Pretty Horses (1992), Blood Meridian (1985) and Suttree (1979). What can I say: it’s a brilliant choice! THE 3rd MPH Breakfast Club for LitBloggers on Saturday, April 28, 2007, will feature Kuala Lumpur-based journalist Dina Zaman, whose new book, I Am Muslim (Silverfish Books, 2007), a collection of essays, was published by Silverfish Books in March 2007; Farish A. Noor, the author of such Malaysian bookstore staples as The Other Malaysia (Silverfish Books, 2003) and From Majapahit to Putrajaya (Silverfish Books, 2005); and Larry Parr, the writer of Tan Chin Nam: Never Say I Assume! (MPH Publishing, 2006), an autobiography of one of Malaysia’s leading captains of industry. Dina Zaman will be introduced by Sharon Bakar. Farish A. Noor and Larry Parr will be introduced by Eric Forbes. THE 4th MPH Breakfast Club for LitBloggers on Saturday, May 26, 2007, will feature Malaysian Flavours (Pelanduk Publications, 1996) author Lee Su Kim, whose new book, A Nyonya in Texas: Insights of a Straits Chinese Woman in the Lone Star State (Marshall Cavendish, 2007), was published by Marshall Cavendish at the tail-end of 2006, and David Byck, the author of It’s a Long Way to the Floor (Johnathan Styles, 2006). David will be sharing with us how practising yoga regularly has positively changed him physically, mentally and spiritually. 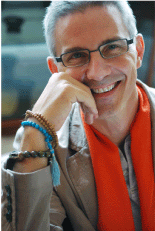 He will also speak about how he started writing about yoga and read some extracts from his book. Both writers are not bloggers. Lydia Teh will be introducing Lee Su Kim, while David Byck will be introduced by Eric Forbes. THE 5th MPH Breakfast Club for LitBloggers on Saturday, June 23, 2007, will feature Zhang Su Li, an award-winning copywriter who has just come out with her first travel book called A Backpack and a Bit of Luck (Marshall Cavendish, 2007), and Adeline Loh, whose first book, Peeing in the Bush: The Misadventures of Two Asian Girls in Zambia (MPH Publishing, July 2007), also a travel narrative, is being edited at the moment. Zhang Su Li will be introduced by Sharon Bakar while Adeline Loh will be introduced by Eric Forbes. Kenny Mah will be conducting a Q&A session with Tinling. Tan Twan Eng’s much-anticipated début novel, The Gift of Rain (Myrmidon, 2007) is a literary feast of a novel set in the tropical climes of Penang island during the Japanese Occupation of Malaya, told with much lyricism, meditativeness and assuredness of touch. Tan has written a well-realised piece of fiction that all Malaysians will be proud of. THE ORANGE PRIZE FOR FICTION was created in 1995 in response to a growing awareness that often the considerable achievements of women novelists were frequently passed over by the major literary prizes. The Orange Prize is judged exclusively by women, who choose the year’s best novel in English written by a woman. The Orange Prize is now known as the Orange Broadband Prize for Fiction. (What a strange name for a literary prize! Anyway, I am still calling it by its old name.) The following 20 books have been longlisted for the 2007 Orange Prize for Fiction. 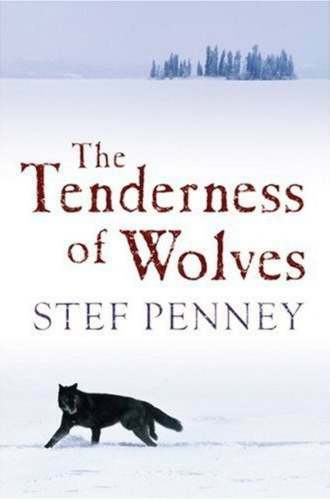 There is a Booker Prize winner and a Costa Book of the Year winner among them: Kiran Desai (The Inheritance of Loss) and Stef Penney (The Tenderness of Wolves) respectively. (Desai also won the National Book Critics Circle Award for Fiction.) 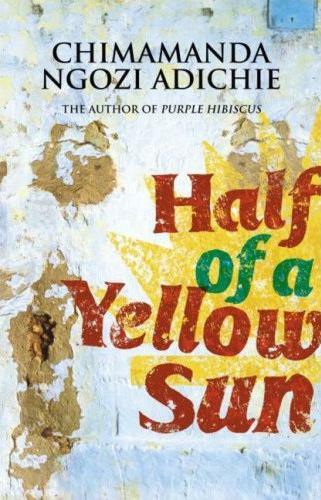 And there is Chimamanda Ngozi Adichie who has received much praise for her second novel, Half of a Yellow Sun. Writing a second novel that is better than your first can be a daunting trick to pull off, but she seems to have managed that effortlessly. One of my personal favourites, Jane Harris’s The Observations, is also on the longlist. 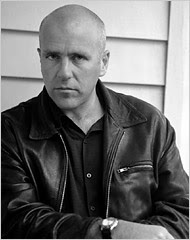 M.J. Hyland was shortlisted for the 2006 Booker Prize for Fiction for Carry Me Down. 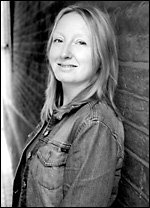 Clare Allen’s Poppy Shakespeare, Nell Freudenberger’s The Dissident, Rebecca Gowers’s When to Walk, Jane Harris’s The Observations, Lisa Moore’s Alligator, Catherine O’Flynn’s What Was Lost, Stef Penney’s The Tenderness of Wolves, and Deborah Robertson’s Careless are all first novels. I believe authors like Chimamanda Ngozi Adichie, Rachel Cusk, Kiran Desai, Jane Harris, Lisa Moore and Anne Tyler stand a very good chance of being on the shortlist. See if any of your favourites are on the list. Who are on your shortlist? THE 2nd MPH Breakfast Club for LitBloggers meet is on Saturday, March 24, 2007 (the 4th Saturday of the month), at MPH Bangsar Village II in Kuala Lumpur, Malaysia, from 11.00a.m.-12.30p.m. Guests include short-story writer Xeus, the author of Dark City (Midnight Press, 2006), and the desperate housewife of Klang Lydia Teh, the author of Honk! If You’re Malaysian (MPH Publishing, 2007) and Life’s Like That (Pelanduk Publications, 2004). Both are writers who are also avid bloggers. Xeus will be talking about her experience writing and publishing her first collection of short stories, Dark City. 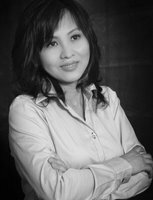 Kuala Lumpur-born Xeus will also talk about her latest collection of stories, Dark City II, which is actually an anthology of stories written by several writers which she is compiling and editing. Xeus will be introduced by Eric Forbes. Lydia Teh will read some of her anecdotes from her latest book, Honk! If You’re Malaysian and the road to getting published. Klang-born Lydia will be introduced by Kenny Mah. THE 3rd MPH Breakfast Club for LitBloggers on Saturday, April 28, 2007, will feature Kuala Lumpur-based journalist Dina Zaman, whose new book, I Am Muslim (Silverfish Books, 2007), a collection of essays, will be published by Silverfish Books in March 2007; Farish A. Noor, the author of such Malaysian bookstore staples as The Other Malaysia (Silverfish Books, 2003) and From Majapahit to Putrajaya (Silverfish Books, 2005); and Larry Parr, the writer of Tan Chin Nam: Never Say I Assume! 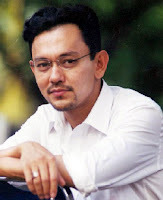 (MPH Publishing, 2006), an autobiography of one of Malaysia’s leading captains of industry. Dina Zaman will be introduced by Sharon Bakar. Farish A. Noor and Larry Parr will be introduced by Eric Forbes. A shortlist of five will be announced on April 19, while the winner will be declared on June 21, 2007. TODAY I BOUGHT a couple of great paperbacks at the bookshop. There was Edward P. Jones’s All Aunt Hagar’s Children (2006), Ian McEwan’s The Cement Garden (1978), Camilla Gibb’s Sweetness in the Belly (2005), Stef Penney’s The Tenderness of Wolves (2006), Tinling Choong’s FireWife (2007), Tahir Shah’s The Caliph’s House: A Year in Casablanca (2006), Tahar Ben Jelloun’s The Last Friend (2006), Edward Hirsch’s Poet’s Choice (2006) and, of course, Tan Twan Eng’s much-anticipated début novel, The Gift of Rain (Myrmidon, 2007), a literary feast of a novel set in the tropical climes of Penang island during the Japanese Occupation of Malaya told with much lyricism, meditativeness and assuredness of touch. The Gift of Rain is a well-realised piece of fiction that all Malaysians will be proud of. London-born Canadian novelist Camilla Gibb’s three titles are all available at the bookstore. Grab a copy or two (or, better still, all three) and get them signed when she makes an appearance sometime at the end of March at the bookstores in Kuala Lumpur and at the 2007 Kuala Lumpur International Literary Festival. Sweetness in the Belly is her latest: the story of an English-born nurse who, after the passing of her hippie parents in North Africa, is raised as a Muslim by a Moroccan Sufi scholar. The San Francisco Chronicle thinks it’s an engrossing read, utterly convincing and authentic. Her two previous novels, Mouthing the Words (1999) and The Petty Details of So-and-so’s Life (2002), are not too bad either. Harper Perennial’s Stranger Than ... series of nonfiction titles from Frank McCourt’s Angela’s Ashes to Alexander Masters’s Stuart: A Life Backwards (2005) look very tempting indeed with their unique covers. Bloomsbury’s 21 Great Reads for the 21st Century from Margaret Atwood’s Cat’s Eyes (1989) to Joanna Trollope’s Marrying the Mistress (2000) look very titillating with their beautiful covers and won’t look out of place in the library or on your desk. The wonderful thing is, there’s an interesting mix of fiction, nonfiction and children’s titles among them. I WAS HIT BY A CAR while cycling to school one day. I was out of school for several days. When I returned to class, my thoughtful classmates presented me with two Enid Blyton books—The Naughtiest Girl in the School and Second Form at Malory Towers. To this day, I can still remember the cover of The Naughtiest Girl in the School. It showed a girl with a mop of curly brown hair with defiant sparkling eyes, standing with arms akimbo. Despite what critics may say about Enid Blyton (her books have been criticised for their racism, sexism and snobbishness), she has done a great favour for young children the world over. Her stories of talking toys, gnomes, boarding-school girls and young sleuths have captured the hearts of millions of children all over the world. I’m one of the beneficiaries who have acquired a love of reading, thanks to her. I enjoyed all her books, though my favourites were the Famous Five and Secret Seven series. Secondary school saw me moving on to young detective series like Caroline Keene’s Nancy Drew and Franklin W. Dixon’s The Hardy Boys. I spent so much time in the school library hunting down these books that the librarians saw it fit to rope me in as their secretary. When I get home from school, I had to have a book in hand before I can sit down comfortably for lunch. The amateur sleuths later lost their appeal to Mr Tall, Dark and Handsome of M&B books (the initials stand for Maths and Biology when speaking in the presence of teachers; at other times they were known as Mills & Boon). I hogged the bookstands set up on five-foot ways. They rented out M&B books for 50 sen a pop which is still cheaper than paying three or four ringgit for a brand-new book. At about this time, a Filipino family moved into our neighbourhood. The father was a bank manager and the pretty teenage daughter had an entire library of M&B and other romance novels. Gasp! I was like a toddler turned loose in a sweet shop. Gleefully, I borrowed stacks of books at a time and devoured them till the wee hours of the morning. And my mother thought I was studying! Little did she know that I was ensconced in a saccharine romantic world spun by the likes of Janet Dailey, Denise Robins and Barbara Cartland. After a while, the same old formula in the romance novels began to turn stale and predictable. I was up to my chin with the same old fluffy plots, the same old dashing heroes and swooning heroines, and cookie-cutter kissing scenes. I reached saturation point where one more helpless stammering heroine and one more aristocratic hero with inscrutable expression would make me scream like a banshee. Exit Mr Handsome and Ms Pretty. Enter Arthur Conan Doyle’s Sherlock Holmes and Agatha Christie’s eccentric and fastidious Belgian detective Hercule Poirot and his “little grey cells”. (I seem to have this thing for detective stories.) Their acute powers of observation and deduction earned my highest admiration. To this day, I’m wont to spout “Elementary, my dear Watson, elementary” when I wanted to sound clever. And not forgetting the kindly but shrewd and irrepressible Miss Jane Marple of St Mary Mead, the English spinster who solves crimes without resorting to fancy high-tech gadgets, relying instead on her feminine sensitivity, empathy and intuitive intelligence. When I joined the nine-to-five brigade, reading was relegated to the back burner. Still, I did find time for the occasional Sidney Sheldon, Arthur Hailey and Stephen King novels. However, when I became a mother, time became the scarcest of commodities. There was hardly time to catch my breath, let alone read a book. Reading had become a luxury. I remember going on a special holiday once. Hubby had to attend a seminar in Singapore for a few days. I borrowed two thick novels from the library, left the children with my mum and tagged along with him to Singapore. While hubby was out, I holed myself in the hotel room and read till my vision blurred and my temples throbbed. When I went out to grab a bite, the book went with me. When I went down to the pool, I brought the book to read on the sunlounger. That was one unforgettable holiday. I hope some day soon, I’ll have the opportunity to have another such break but it’s going to take some working. Then, I had only two kids; now, there are four. It is difficult to find time to read books these days. If I do read them, they are confined to how-to books and short-story collections. Something like The Elements of Copywriting or The World’s Greatest Cranks and Crackpots. These don’t have the pull of page-turning novels like John Grisham’s or Amy Tan’s. I can’t resist a good yarn. I would become like an ostrich. Instead of the head being buried in the sand, mine would be stuck in the book. My eyes would be glued to the pages and my posterior to the chair. Meals would be served late. Children’s whining would be ignored. Hubby’s grumbling would be shut off. Television would have lost its lure. 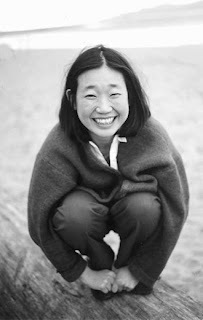 LYDIA TEH is a homemaker who enjoys writing while raising her brood of four. In between cooking for her children, chauffeuring them around and coaching them in their studies, she loves observing the quirks and idiosyncrasies of Malaysians. Her second book, Honk! 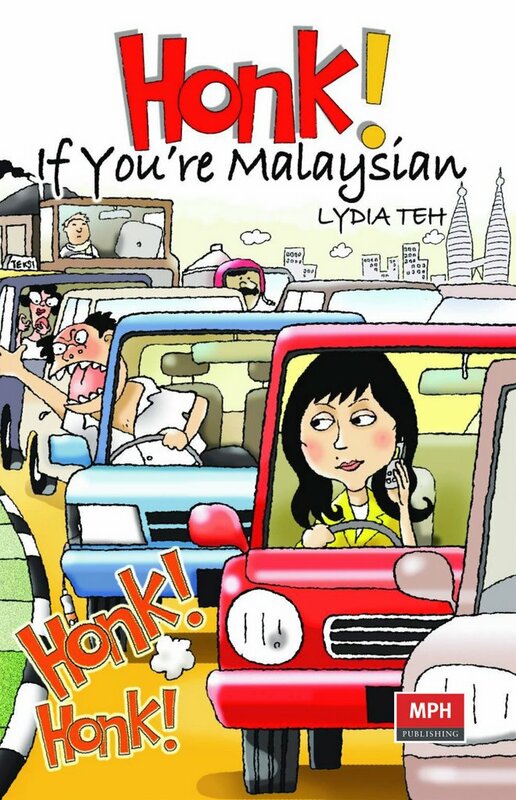 If You’re Malaysian (MPH Publishing, 2007), her follow-up to Life’s Like That: Scenes from Malaysian Life (2004), was published in January 2007. 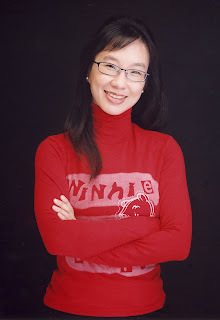 MADELEINE THIEN is the Vancouver-born daughter of East Malaysian-Chinese immigrants. Her first novel, Certainty (Faber & Faber, 2007), a richly textured and nuanced exploration of war, grief and displacement, was first published by McClelland & Stewart in Canada in 2006 and is now reaching out to a wider audience in other parts of the world. Thien has also written a highly acclaimed collection of short stories, Simple Recipes (McClelland & Stewart, 2001), which won a slew of literary awards in Canada. SOME PEOPLE say that writers no longer need editors and publishers in the age of computers and other digital gizmos. Are publishers going the way of the dodo? What do you think? Xeus will be talking about her experience writing and publishing her first collection of short stories, Dark City. Kuala Lumpur-born Xeus will also talk about her latest collection of stories which is actually an anthology of stories written by several writers which she is compiling and editing. Xeus will be introduced by Eric Forbes.